Our people make our Michigan asphalt company great; they are our most valuable resource. We strive to provide a challenging and rewarding work environment for all our employees. Because we are locally owned, every employee is an important part of our team. Our estimators and crews take pride in our high quality of work and have created a reputation that speaks for itself. Our asphalt team is trained in asphalt paving, seal coating, crack filling, concrete work, pulverization and more. Each specialist is trained to utilize our specialized asphalt equipment. 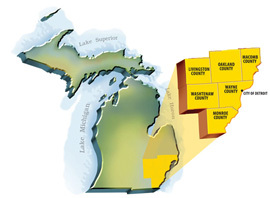 Our Michigan asphalt company is able to provide superior quality due to our highly skilled workforce. Our goal is your satisfaction. Read Al’s Asphalt Company’s customer testimonials or contact us to learn more about our staff, our services and our results.